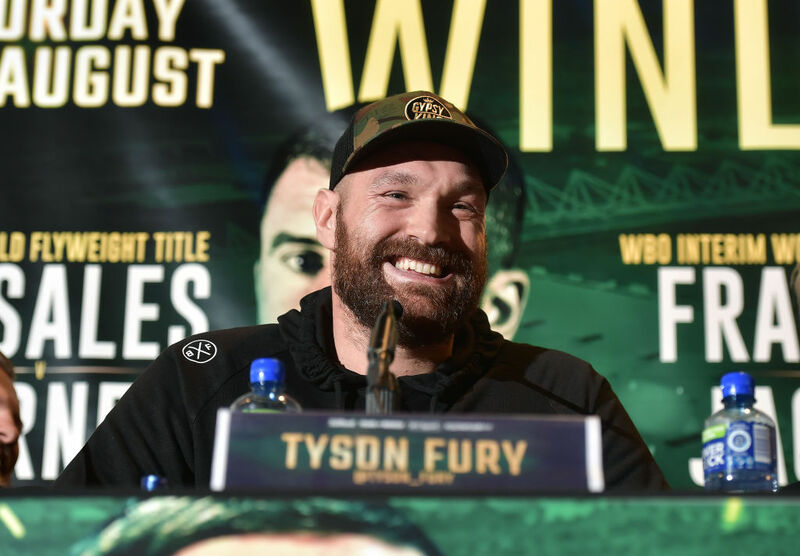 It’s easy to slip into the opinion that Tyson Fury lost out after this month’s heavyweight classic but when you actually think about, things couldn’t have gone any better. Ok sure, had he knocked out Deontay in the first-round and escaped the ring without feeling The Bronze Bomber’s infamous power it would have been good for the ol’ noggin, but everything from the fight’s original booking and build-up to the controversy that followed have done nothing but help Fury’s status. The fans love to latch onto the successes of an underdog and on Saturday night, we saw Rocky I, II, III, and IV rolled into one stunning masterclass in determination and perseverance overall. 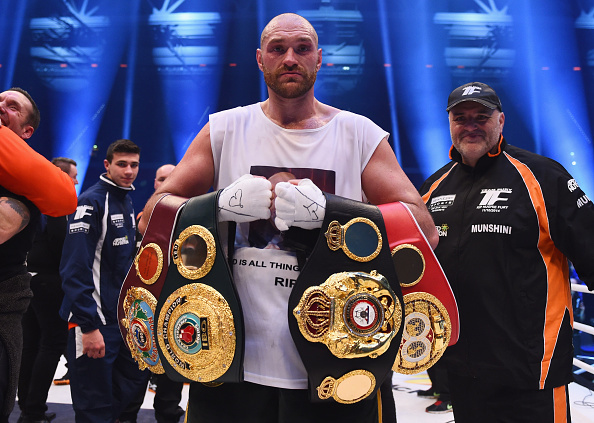 Fury was as divisive a figure as anyone during his original run at Wladimir Klitschko. Brash, bold, and unapologetically outspoken, he was the type of personality that split people down the middle and from the casual fan’s perspective, his fights didn’t exactly live up to the legendary heavyweight he was named after. But somewhere along the line, being a fan of Tyson Fury became less about boxing and more about the man behind it. 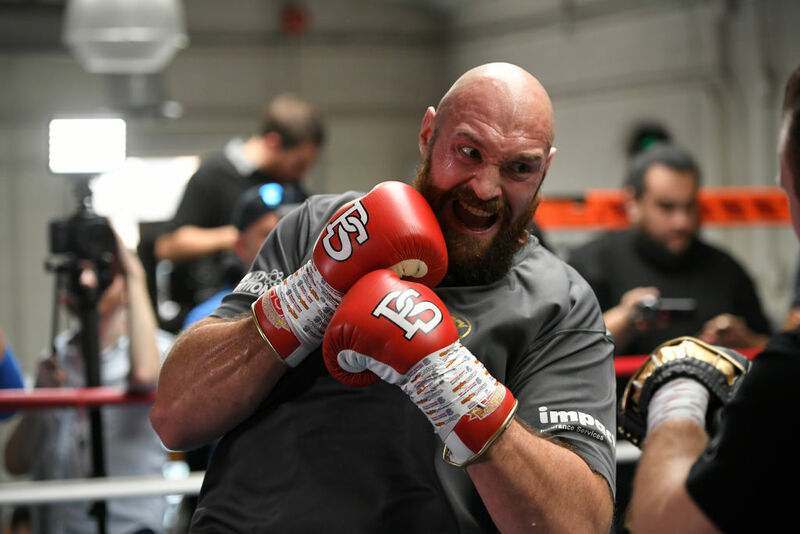 Dethroning the dominant force that was Klitschko should have ushered in a new era for the admittedly stale heavyweight division but it soon became clear that the boxer within Fury was doomed to lie dormant. The lineal champion’s spiral into depression and substance abuse happened before our very eyes. Fresh off of the biggest and most shocking victory of his career back in 2015, we watched as his fighting career slipped out of his hands. And that should have been the story of Tyson Fury. According to the man himself, though, it was the words of Deontay Wilder that lit the fire within him to drive towards his eventual return. Long before a fight between the two was even a distant idea, Fury – at a time when he was weighing a good 400lbs – posted a video crediting Wilder’s dismissal of him as something that spurred him on to achieve what he would go on to achieve just over a year later. Substance abuse and issues of mental health are ones that hit close to home with a lot of people – whether directly or indirectly – and as we watched Fury losing that weight before our eyes and growing in confidence by the week, it did feel as though it was one collective journey. Tune-up fights or not, fighting Deontay Wilder after a layoff that lasted over two-and-a-half years didn’t make any sense. The idea that he could be competitive against such a destructive force after quickly losing close to 150lbs of body-fat made even less sense. Fury outboxing him in what was perhaps his most polished performance yet was simply astounding to watch. Where before he was that mouthy but quick-witted contender who was always sure to provide a memorable quote or two, Tyson’s triumphant return from what he himself described as a near-suicidal state is the type of story that in time will paint him as one of the sport’s most relatable figures and greatest underdogs. The further into his return from the depths he went, the stronger and more widespread the respect for him became. Sure, there were those who didn’t like him or criticised him for whatever reason but more and more, people started to come around to the undeniable strength of this man’s resolve. Everything from Fury’s transparent appearance on The Joe Rogan Experience to his pre-fight promise to use his fight-purse to house the homeless saw him shed his pre-Klitschko image to a certain extent in the eyes of the fans. And that dodgy decision that saw him record his first career draw on Saturday has only served to augment that title. Boxing has had several heavily-publicised instances of controversial judging in recent times – with the most noteworthy of late coming in the form of the 2017 showdown between Gennady Golovkin and Saul ‘Canelo’ Alvarez. 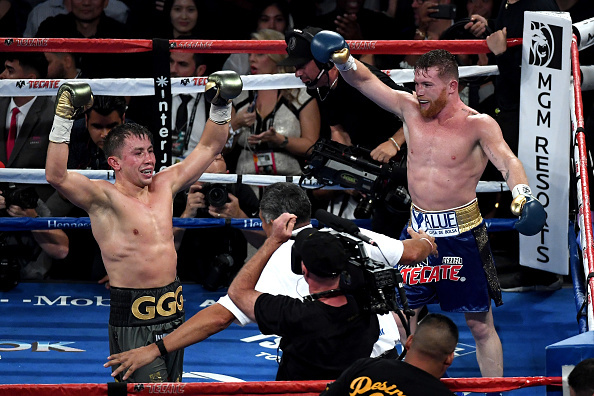 In a fight that Triple G should have won comfortably – the fight was scored as a split draw. And while I’m not exactly in the business of delving into conspiracy theories, the fact that a draw paved way for an even more lucrative second fight was something that the vast majority of people pointed to with a not-so-subtle wink and nudge. The fact that it’s hard to be comfortable in the knowledge that a boxing fight will be scored fairly as you watch it has only served to cause some to distrust the sport. 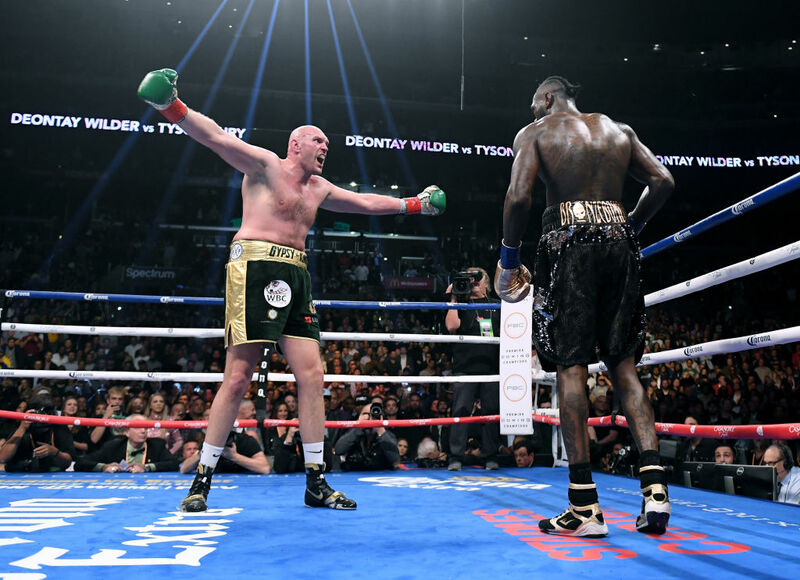 Like Canelo before him, through no fault of his own, Wilder will be antagonized by the mainstream fans for what is widely viewed as a robbery of Fury – who will be seen as the sympathetic figure of the two. For Tyson, the draw might have stolen away his triumphant moment of validation in the power of his own self-belief as he stands there with the WBC belt over his shoulder but when you stop and think about it, has he not earned more from this draw that he would have otherwise? He’s already the unbeaten lineal champion of the division and to be honest, after his gutsy performance on Saturday night and the shocking decision that followed it, it’s not a stretch to call him the people’s champion. 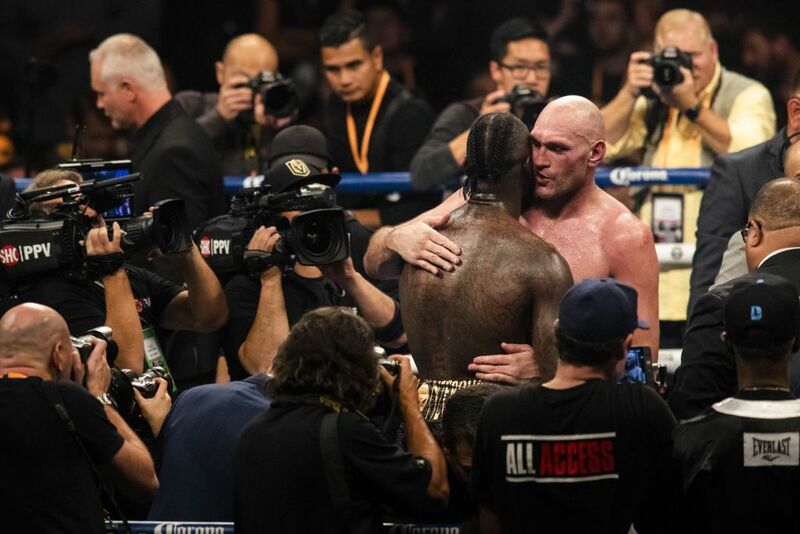 The second fight with Wilder would have happened no matter what if had Fury won and it may well be even more of a financial success now because of the circumstances the second fight ended under. His popularity is at an all-time high and that image of him standing up after eating a sledgehammer from The Bronze Bomber will become as iconic an image in boxing as we’ve seen since the turn of the century. He might not have earned the victory in the fight, but he most certainly earned the win.